The miSecureMessages Contact Web portal provides access to our HIPAA compliant secure messaging and paging service from the convenience of your web browser. The Contact Web will let you view secure messages from the answering service or co-workers using Secure Socket Layer (SSL) encryption with username, password, and license key authentication. 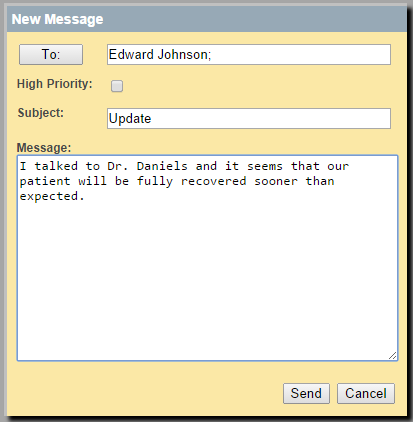 Originally designed with the security needs of healthcare in mind, miSecureMessages has convenient applications for any industry that relies on fast, realiable, and convenient message dispatching. The Contact Web lets you read and respond to secure messages as well as initiate new messages to other members of your staff right from your browser. Expanding on current integration with smartphones, tablets, and Android™ wearable devices, the miSecureMessages Contact Web provides another convenient interface for managing your secure messages. 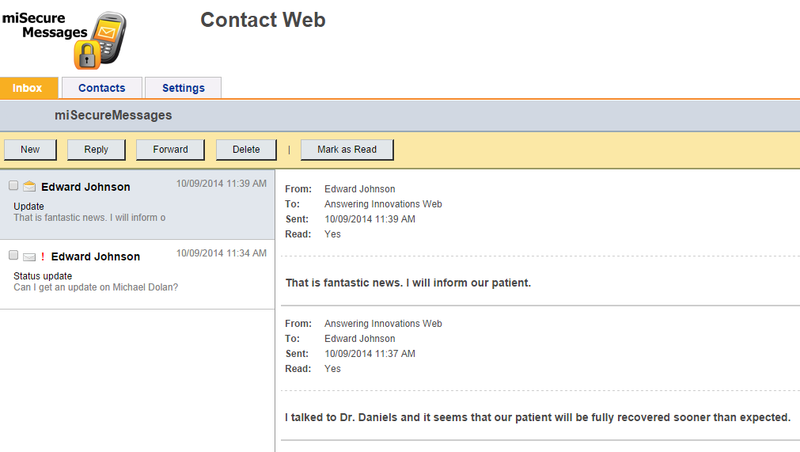 From the miSecureMessages Contact Web portal, you can easily tell in real time when a someone has read your message. It's easy to send a secure message from the contact web portal to any other miSecureMessages user. Simply select one or more miSecureMessages contacts, enter a subject, optionally mark it as high priority, and compose your message just like you would with any email program. Except with miSecureMessages, your data is always encrypted in transit in order to comply with HIPAA and HITECH regulations. Instantly communicate with co-workers no matter whether you are on the go or at your desktop. Receive your secure messages on the web, on your smartphone or tablet, and even on Android™ wearable devices. When the phone answering service -- or a member of your staff -- sends you a message, you will receive it on any device you have registered with miSecureMessages, whether on the web portal, or on your smart device, ensuring you will receive the message quickly wherever you happen to be.